Making continuing education more accessible and interesting, Wexford University now offers a Certificate of Advanced Achievement in Kinesiology for Health, Fitness and Wellness Professionals. More information is available at http://wexford.edu/continuing-education-courses-for-health-fitness-personal-training-nutrition-and-sports-coaching-professionals/. Health, fitness wellness and coaching professionals must continue their education to stay on the cutting edge of their fields. Bodies that move are healthier bodies. For those interested in the study of how the body moves and performs, Wexford University online now offers continuing education and a Certificate of Advanced Achievement in Kinesiology for Health, Fitness and Wellness Professionals. The course focuses on the study of muscles, bones and joints and movement. 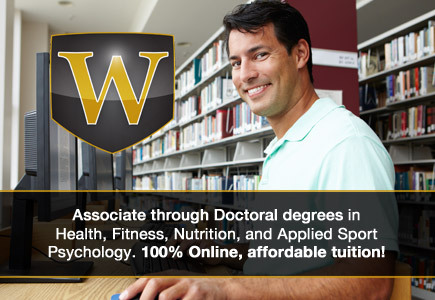 Kinesiology for Health, Fitness and Wellness Professionals is open to anyone; more details and online registration is available at http://wexford.edu/continuing-education-courses-for-health-fitness-personal-training-nutrition-and-sports-coaching-professionals/. The Certificate of Advanced Achievement in Kinesiology for Health, Wellness and Fitness Professionals also addresses the physiological and mechanical principles of human movement and may be of interest to anatomists, athletic trainers, physical therapists, physicians, nurses, massage therapists, coaches, strength and conditioning specialists, performance enhancement coaches, physical educators, and others in health-related fields. Each Wexford University online continuing education courses lasts about 10 weeks.